Point and Pay. Click the link below to pay property taxes for Hamlin Township. Mason County Household Hazardous Waste Collection Day is scheduled for Saturday, August 17, 2019 from 8 am - 2 pm at the Mason County Road Commission Building in Scottville, MI. Be prepared to show ID. Free to Hamlin Twp. Residents. No voucher required. 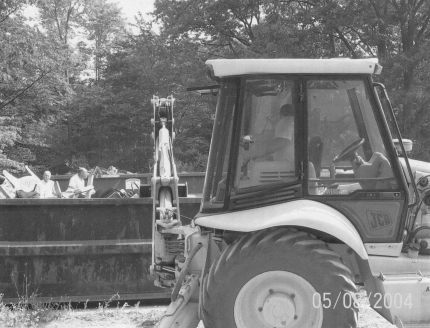 Hamlin Township Clean-Up Day is scheduled for Saturday, June 15, 2019 and will run from 8:00 am - 12:00 noon at the Hamlin Township Transfer Site, W. Dewey Road. A voucher is REQUIRED and will be available May 1, 2019. The voucher is free to Hamlin Township Residents. *Small miscellaneous items must be bagged, boxed or bundled to accelerate the unloading process; not to exceed 50 lbs. bundled. *No Tires and/or hazardous Waste. No paint, items containing refrigerant, freezers, liquids, Oil, Etc. A public forum/open house on Hamlin Township's Recreation Plan update is scheduled for Thursday, April 25, 2019 from 6 pm to 7:30 pm at the Hamlin Township Hall, 3775 N. Jebavy Drive, Ludington, MI. Hamlin Twp. will be working over the next few months updating the 5-year Recreation Plan to submit to the Michigan Department of Natural Resources for their approval. Gregg and Linda Jacques, owners of property located at 4907 W. Nurnberg Road, Hamlin Township, Mason County, MI are seeking relief from a certain section of Hamlin Twp. Zoning Ordinance 45 now in effect. Mr. and Mrs. Jacques are requesting permission to construct a 44 X 36 (1584 Sq. Ft) accessory building on the above identified 2.19 acre parcel. Zoning Ordinance 45 Section 4.06 B provides for an accessory building not to exceed twelve hundred (1200) Sq. 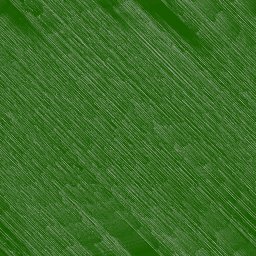 Ft. Variance requested three hundred eighty four (384) Sq. Ft. This property is currently zoned Residential (R-2). The Jacques property is further identified as Parcel G: A portion of Gov’t Lot 4 Sec. 1 T19N R18W. 2.19 Acres M/L. Should you have any comments on this request, please appear at the public hearing which will be held on Tuesday, April 9, 2019 at 6:00 p.m. at the Hamlin Township Hall, 3775 N. Jebavy Drive, Ludington, MI 49431. 2019 - 2020 RECYCLING DECALS. Recycling decals will be available after February 25, 2019 from the Township Office. by April 1, 2019. Decals are required to use the recycling center. *Recycling Reminder: #1, #2, #5 Plastic Bottles Only (CRUSH). Rinse. Labels Ok. Discard Caps and Crush. *No Styrofoam; NO motor oil or chemical containers. Please recycle correctly. Hamlin Township Fire Department received 255 calls for service in 2018 and 209 calls in 2017. Thank you to all the volunteer members! 2019 - 2020 Recycling Decals will be available February 25, 2019; Decals will run from April 1, 2019 thru March 31, 2020. 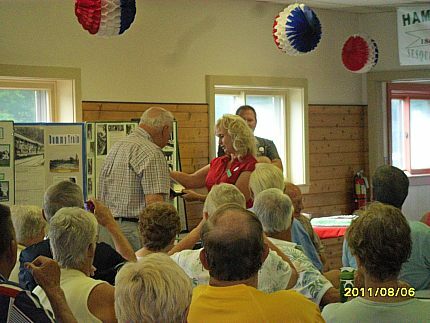 $20.00 Annually for Hamlin Township residents and $100.00 for non-residents. 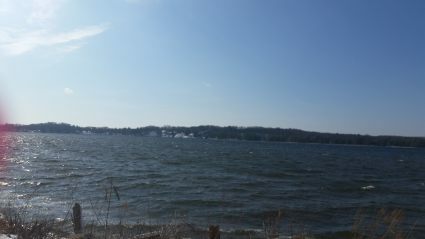 MI DNR Fisheries is planning a fish survey on Hamlin Lake to determine the current status of the fishery. At the request of HLPS and other interested individuals, MDNR Fisheries has committed to a creel census survey to start 1-6-19. The goal is to conduct the survey for 9 months which would replicate the last survey that was completed in 2009. 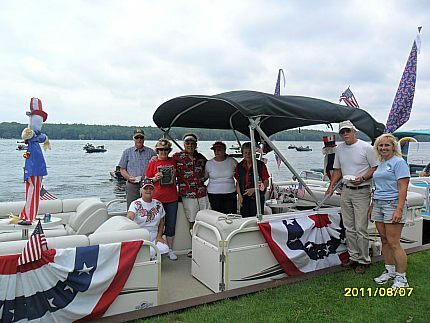 A MDNR Fisheries employee will travel around Hamlin Lake and survey fishermen about their catch and hours fished. The cost of the survey will be $5,000 - $6,000 per month. MDNR Fisheries has some of the costs budgeted but not enough for 9 months. 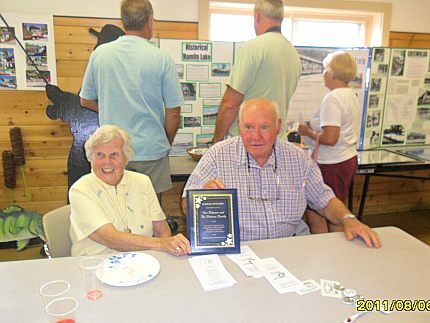 Mason County Fin & Feather Club recently donated $3,000 to the HLPS Fish Fund to be dedicated to the fish survey. HLPS will donate to the Fish Survey contributed by the HLPS Members. 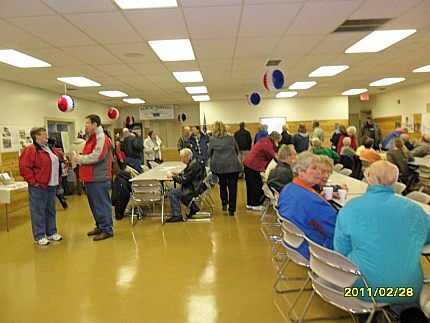 At the November 6, 2018 General Election, Hamlin Township had a 65% voter turn out between both precincts. There are currently 3,232 registered voters in the Township. 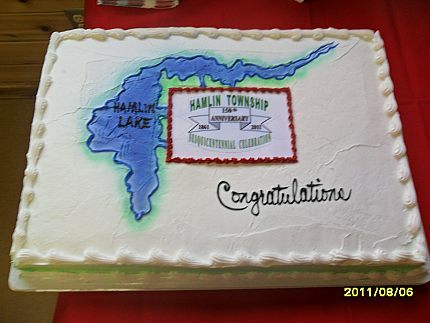 The Hamlin Township Planning Commission will hold a meeting on Monday, May 13, 2019 at 6:00 pm at the Hamlin Township Hall, 3775 N. Jebavy Drive, Ludington, MI 49431. This notice is posted in compliance with PA 267 of 1976, as amended, the Open Meetings Act, MCL 41.72a, and the Americans with Disabilities Act. Hamlin Twp. 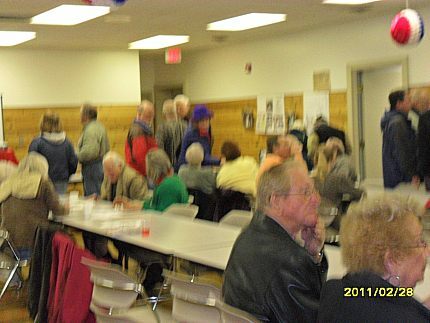 will provide necessary reasonable aids and services such as signers for the hearing-impaired and audiotapes of printed materials being considered at the meeting, to individuals with disabilities at the meeting upon 10 days’ notice to Hamlin Twp or by writing or calling Nancy Vandervest, Twp. 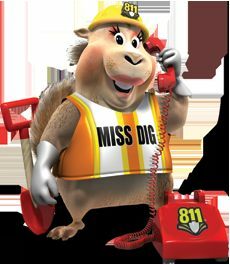 Supervisor at 231-845-7801 Ext 2. The Land Use Plan of Hamlin Township is used to guide the creation of zoning ordinances by the Planning Commission. It is revised on a ten year basis to reflect changes that occur in the Township. Opinions collected by this survey will make it possible for the revisions in the Land Use Plan to more accurately reflect the views and concerns of the residents of the township. Please return the survey by mail or drop it off at the town hall by 2-28-19. 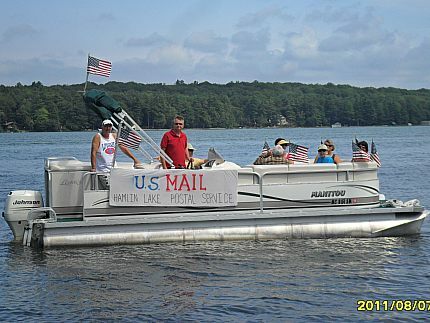 Hamlin Township Recreation Survey; Hamlin Township will be mailing a Recreation Survey out. The survey can also be found here on the website. Hamlin Twp. will be working over the next few months updating the 5-year Recreation Plan to submit to the Michigan Department of Natural Resources for their approval. An approved plan is required before MDNR Trust Fund grant applications can be submitted. Please complete the short survey on the back. Responses should be returned by March 29, 2019. A public forum will be held on April 25, 2019 at the township hall at 6 pm to gather public input on recreation opportunities in the township. After the information is compiled an updated plan will be completed and made available to the public for a 30-day review period. PLEASE NOTE: On the Recreation Survey, the Long Skinny Park was omitted. If you have any comments for the Long Skinny Park please note. We apologize for this error. Thank You. Click here to view and download a copy. Hamlin Township garbage bags may be purchased at the Y County Store on 1860 N. Lakeshore Drive (CASH OR CHECK ONLY). Credit Cards are not accepted as there are fees associated with accepting credit cards. Please respect this policy. Oak Wilt – Please Be Aware! Oak wilt, a non-native invasive fungus, is causing the widespread death of our precious oak resource in Michigan. As many of you know, oaks provide shade, acorns for wildlife, and are a valuable wood product in our forests! These trees are worth saving! Learn how to identify which oak species are on your property. Contact a professional. Pay close attention to your “red oak group” trees. If you see the leaves suddenly turn a yellow or bronze color AND drop from the tree, then contact a professional who is qualified to determine if you have oak wilt. DO NOT cut or prune your oak trees from April to August as these wounds can attract the sap-feeding beetles that spread oak wilt. ALSO, DO NOT move infected oak firewood! If you would like more information about this disease, contact Josh Shields, Forestry Assistance Program forester with the Manistee and Mason-Lake Conservation Districts, at 231-889-9666 (Office Phone), 989-220-9236 (Mobile Phone), or via email at joshua.shields@macd.org. Also contact the Manistee or Mason-Lake Conservation Districts about an informational meeting on oak wilt and how to slow the spread of it, on April 4th, 2018, 7:00pm, at Hamlin Township Hall! Green Garbage Bags will be $13.00 for a sleeve of ten 30 gallon bags. Purple Garbage Bags will be $7.00 for a sleeve of ten 15 gallon bags. Recycling Stickers runs from April 1st to March 31st. Recycling stickers are required each year. Hamlin Township Residents: $20.00 per year. 400 S. Harrison Street, Ludington, MI 49431. Persons with business to be put on the agenda may contact the Secretary at 1699 S. PM Hwy., Ludington, MI 49431 or 231-845-1277. WMCFDA meetings are open to all members of the public under the Michigan's Open Meeting Act (MCL 15.265(6). Individuals with special needs wishing to attend and require auxiliary aids are requested to contact the Secretary not later than 5 business days prior to the meeting date to make arrangements for accommodation. 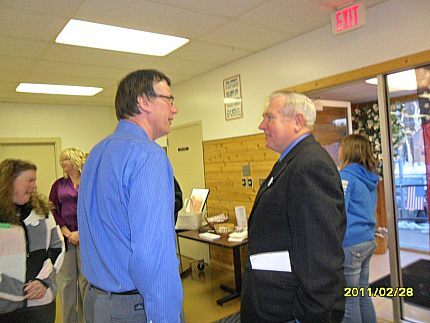 Hamlin Township received a $2,500.00 grant from the Great Lakes Energy Peoples Fund. The grant money was used towards the parking lot on Duneview Drive. Members of Great Lakes Energy support the People Fund by voluntarily rounding up their bills to the next highest dollar. The rounded up amount is distributed to non-profit organizations and charitable activities that benefit people in communities served by the cooperative. 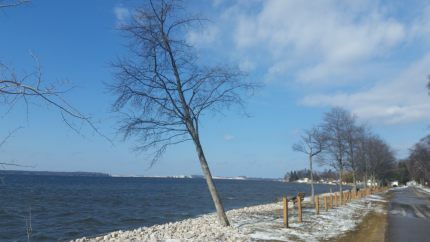 Contact Great Lakes Energy at 888-GT-LAKES or visit gtlakes.com for more information. Purple garbage bags will be $ 7.00 for a sleeve of ten 15 gallon bags. 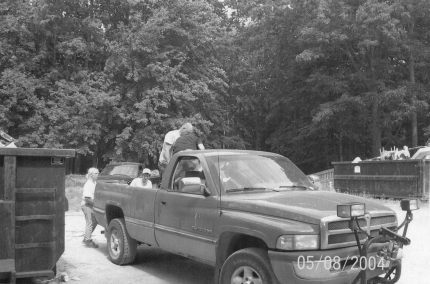 Bags along with Recycling Stickers may be purchased at the Hamlin Township Transfer Site and Hamlin Township Office. FEMA (Federal Emergency Management Agency FEMA has recently updated their FEMA Flood Plain Maps in Hamlin Township. Visit FEMA.gov | Federal Emergency Management Agency or Susan A. Conradson at 231-876-4443 or conradsons2michigan.gov for additional information. 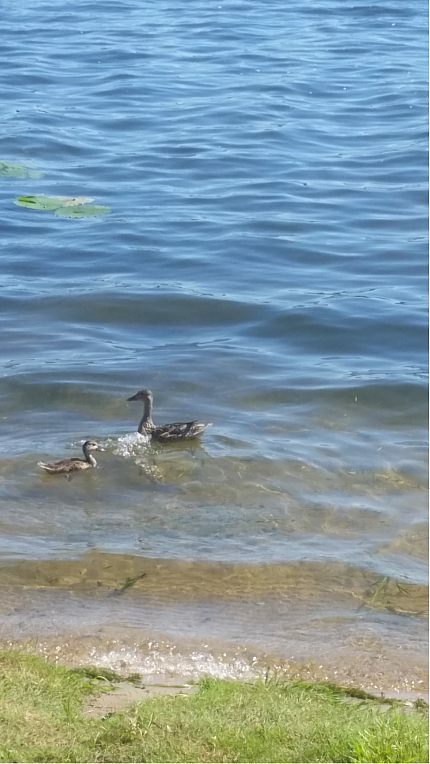 Your property may be in a Flood Plain Area on or near Hamlin Lake. riding on a public road. Hamlin Township Fire Department has received a $1,799.99 grant from the Great Lakes Energy People Fund. The grant will be used to purchase a Honda 5,000 Watt Generator. The generator will be located in Hamlin Township’s Command Rehabilitation Trailer/Center. The Command Rehabilitation will house the Department’s ice rescue equipment, search and rescue packs, radios/pagers for inter communication with department personnel and other agencies. The on-scene Command Rehabilitation Trailer is designed to provide firefighters and other emergency personnel with a safe, clean and reliable rehabilitation facility. Members of the Great Lakes Energy support the People Fund by voluntarily rounding up their bills to the next highest dollar. The rounded up amount is distributed to non-profit organizations and charitable activities that benefit people in communities served by the cooperative. Visit gtlakes.com for details. Michigan is the last great Lakes state that allows rural residents to incinerate household waste in burn barrels. However, a new law rules out burning some materials. In April, Lt. Gov. Brian Calley signed HB 4207, banning the uncontrolled burning of plastic, rubber, foam, chemically treated wood, textiles, electronics, chemicals and hazardous materials. The bill became Public Act 102 of 2012. Rural residents still can burn yard waste such as brush and leaves, and household waste such as cardboard and paper products. A safe and anonymous way of reporting crime by telephone, e-mail or text message. Sponsored by SSCENT, Mason/Oceana Central Dispatch, Manistee Central Dispatch, and a public safety granted awarded by the Manistee County Local Revenue Sharing Board. Hamlin Twp. Christmas Tree Recycling Program. Beginning January 1, 2012, Hamlin Township Residents may drop off their Christmas Tree from January 1, 2012 thru January 30th at the Hamlin Township Transfer Site on W. Dewey Road. 1) Remove all decorations, tinsel, stand, etc from tree. 2) Hamlin Township Residents ONLY. Signature Required. 3)One (1) Tree per family/address. 4)Signature and Phone Number Required: (Transfer Site Attendant will require signature, address and telephone number). 5)Hours Wednesday and Saturday from 9 AM - 5 PM. Questions, please contact Nancy Vandervest, Hamlin Twp. Supervisor at 231-845-7801 Ext 2. Thank You. If you are working within the road right-of-way, please remember that a permit from the Mason County Road Commission is needed. Mason County Road Commission is located in Scottville. # 231-757-2882. Please call 1-866-922-2876 (8:00 AM - 5:00 PM) Monday thru Friday or visit www.michigan.gov/burnpermit and apply on-line. 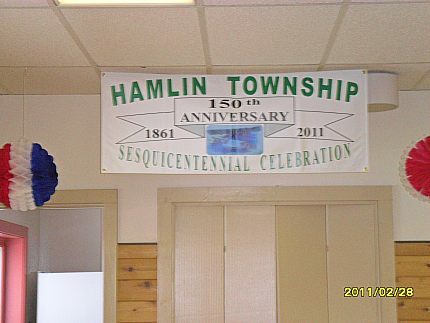 Hamlin Township was established on February 28, 1861 by the Michigan State Legislatures. It is named after Hannibal Hamlin, Vice President from 1860 to 1864 under President Abraham Lincoln. The first settlement in Hamlin Township was made by Charley Mears, in 1858 in Section Two. The next settlers were Mr. and Mrs. Louis Sladick in Section 12. A railroad traveled from Ludington to the North Bayou, it was called the Dummy Line. When the first people settled in the Township, there were woods all around. As years went past and the population grew, more timber was cut and now there are very little woods standing. At one point, there were 84 farms in Hamlin Township. 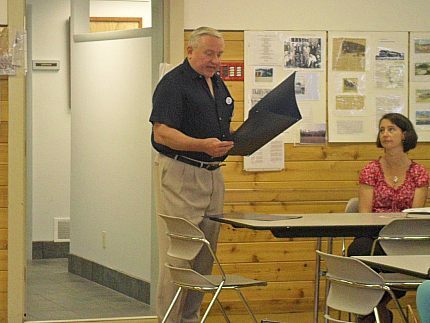 Hamlin Lake hotels and large resorts added much interest to Hamlin Township. Today, Hamlin Township is the largest Residential Township in Mason County with a population of 3408 per the 2010 US Census. 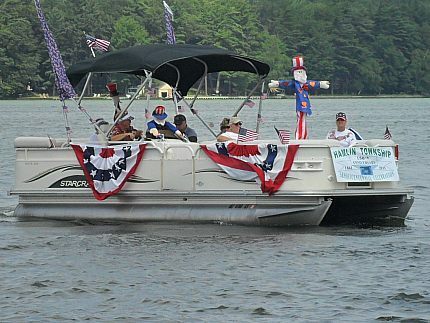 Hamlin Township provides some of the very best summer and winter recreational activities, with new and older homes blending for a delightful community with very little industry. 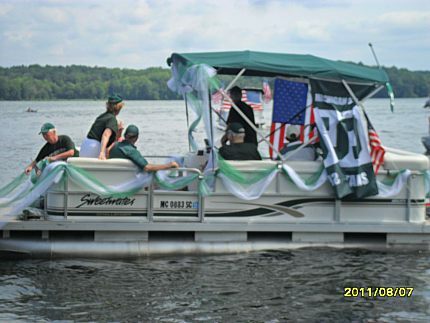 Hamlin Township can truly boast "one-of-a-kind" status and is home to beautiful Hamlin Lake. 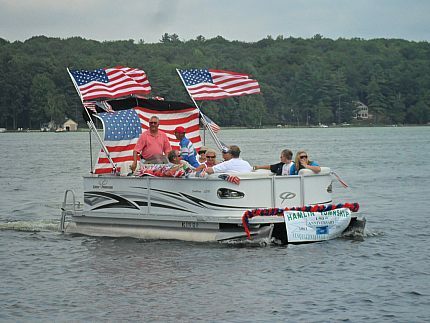 Hamlin Lake, a man-made lake, is more than 12 miles long and 5,000 acres large that originated during the logging hey-day when lumbermen dammed the Big Sable River to make an enormous holding pond for trees that were felled upstream. Thank you for visiting our new website. If you have any questions, please don't hesitate to contact me. Please note that our Township has regular office hours Monday through Friday from 8:00 AM - 4:30 PM. Usually, you will find someone at the Township Hall earlier, later, and throughout the lunch hour. We are always happy to answer questions. 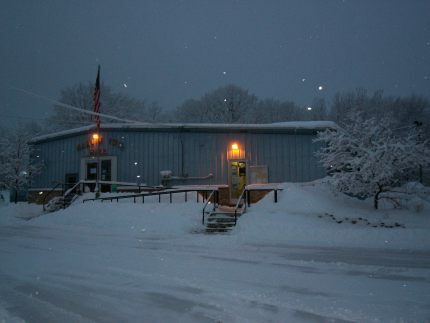 The Township Hall is closed for holidays and occasionally during the week due to short staff times. Celebrating the past, present and future. 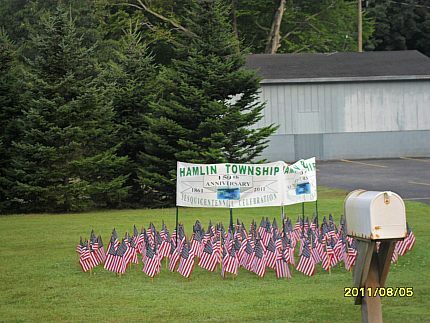 Hamlin Township recognizes its responsibilities to each of its constituents and Township officials make this pledge as a statement of the Township’s values and purpose as we conduct Township business. *Hamlin Township will strive to serve its Township constituents with dependable and efficient service. The highest standards and lawfully executed service will be our goal. *Hamlin Township will strive to be a place where employees are encouraged to expand their knowledge and fulfill their individual potentials. One of the Township’s premier goals is to be considered an invaluable work place by each of our employees. *Hamlin Township will strive to conduct its affairs in a socially responsible, lawful manner while maintaining a kind and courteous workplace. We will always strive to utilize ethical practices and compassion for the needs of those around us and to reflect those ideals in our Township decisions. Adopted in Hamlin Township’s General Policy Manual 10-13-2011. The information provided on the Hamlin Township web site is accurate to the best of our knowledge and is subject to change on a regular basis, without notice. 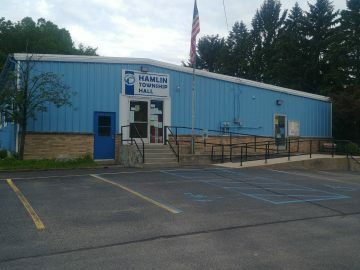 Although the information in these pages is updated frequently, it is NOT as up-to-date as the information available at the Hamlin Township offices. While it is our goal to provide useful information, we do NOT warrant the information to be authoritative, complete, final, factual, timely or accurate. 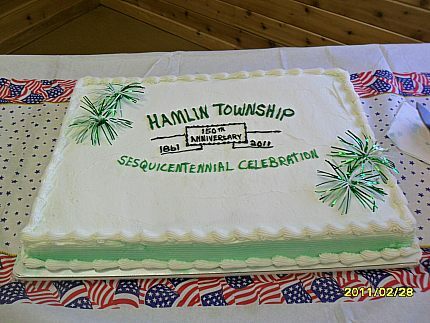 Hamlin Township is NOT responsible for the content of any off-site pages referenced or linked to. 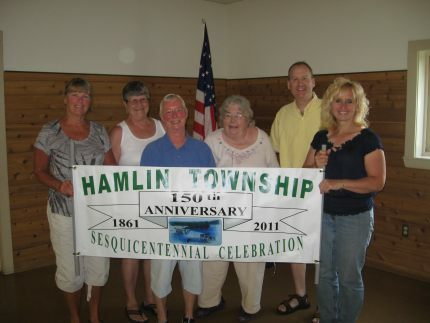 Thank you for visiting the official website of Hamlin Township, Mason County, MI, USA.